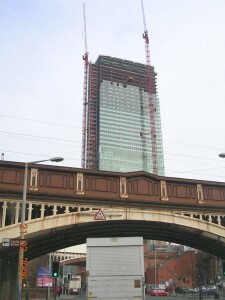 The Beetham Tower is a landmark building on a site at the junction of Deansgate, Great Bridgewater Street and Liverpool Road in Manchester city centre. 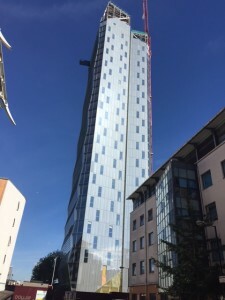 The new 47 storey Beetham Tower, Manchester accommodates a new 285 bedroom Hilton Hotel on the lower 22 floors, with the 23rd floor becoming a ‘Sky Bar’ offering diners stunning views across the city. 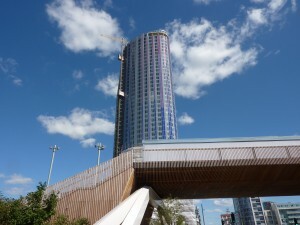 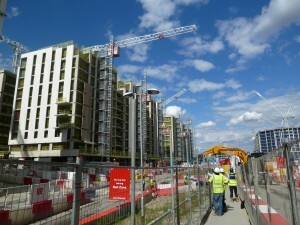 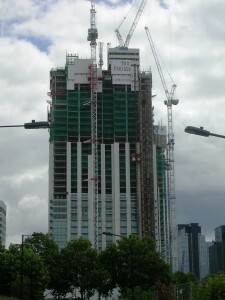 Floors 25 and upwards provide 219, 1 and 2 bedroom apartments and penthouses. 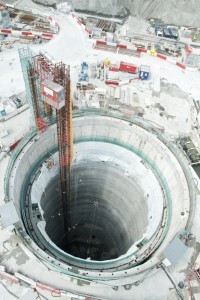 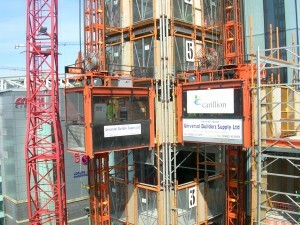 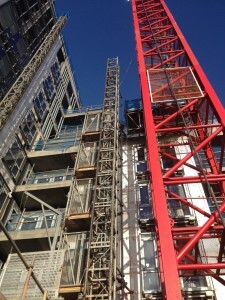 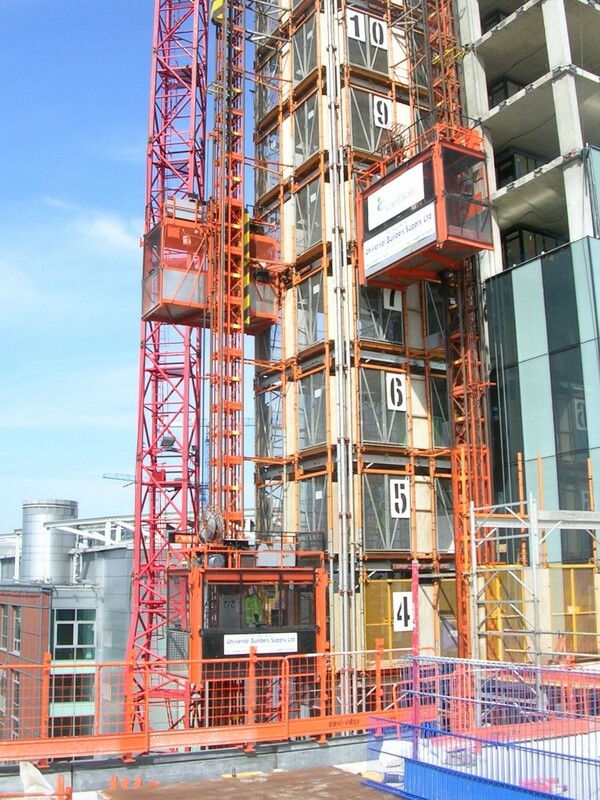 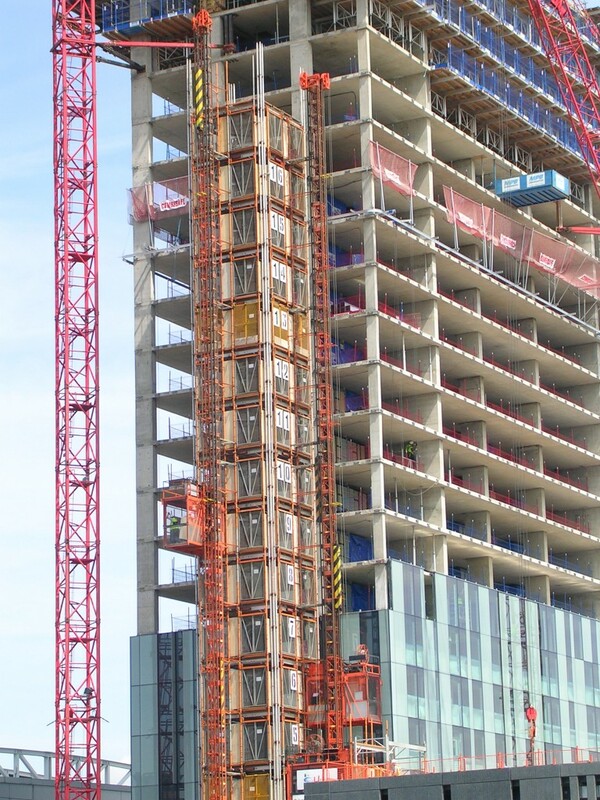 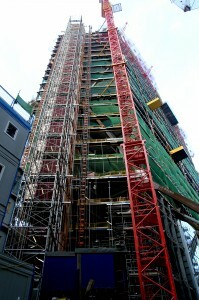 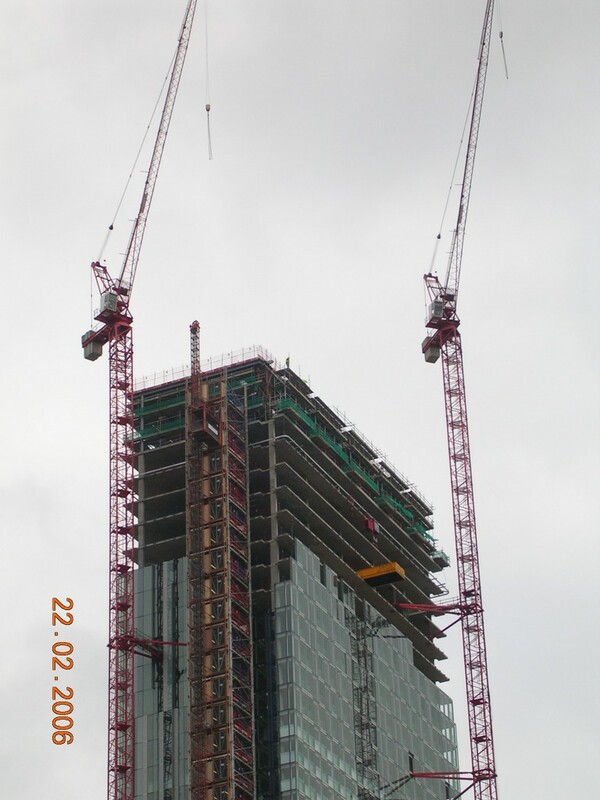 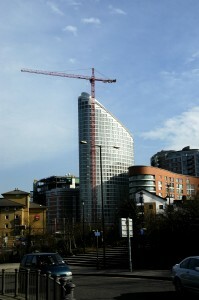 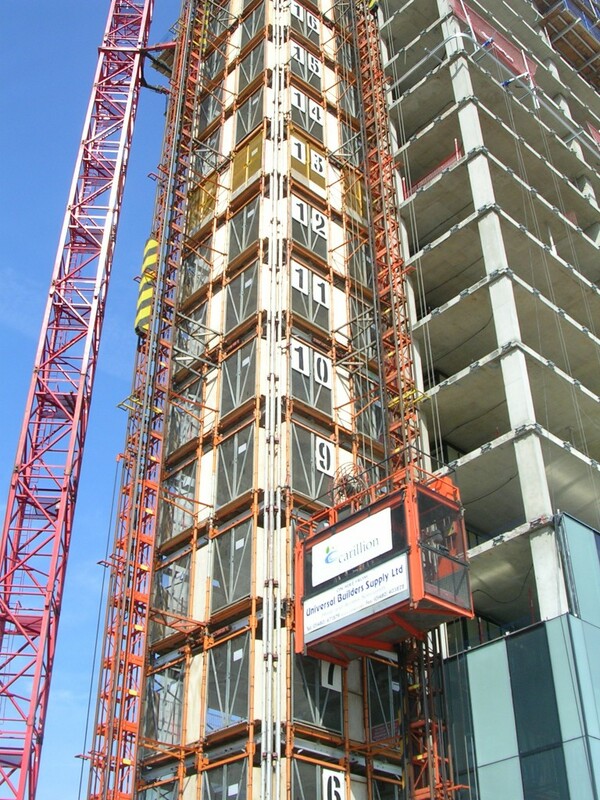 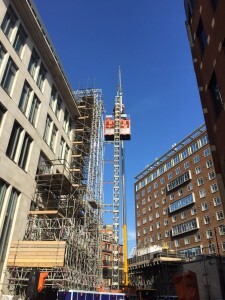 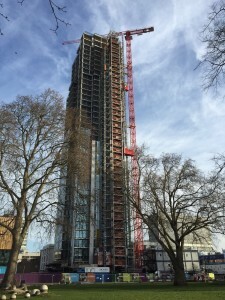 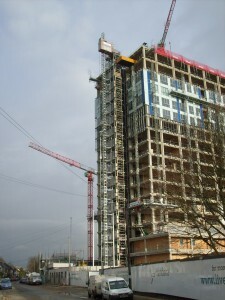 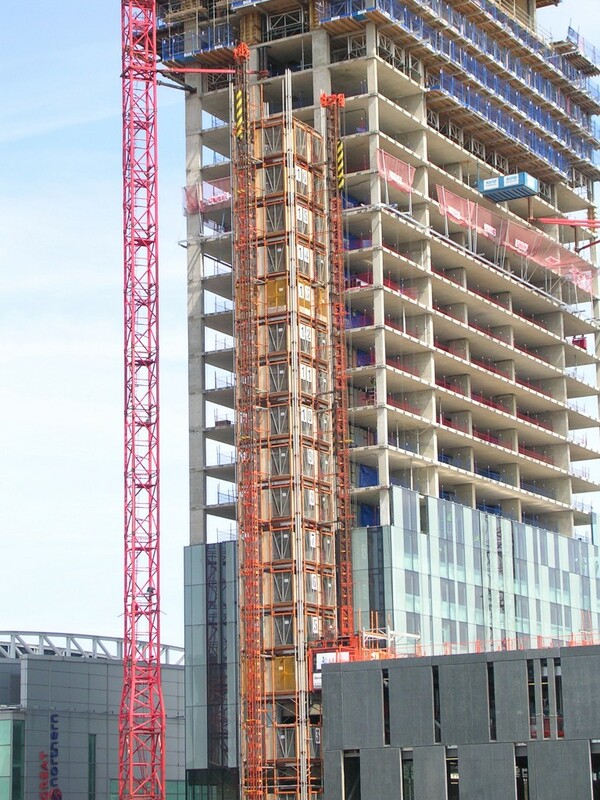 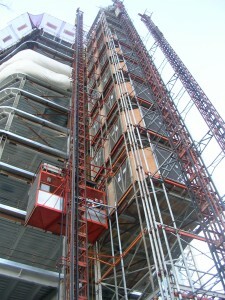 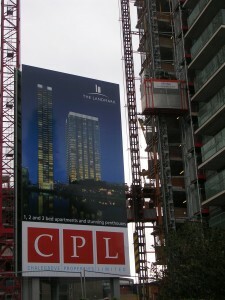 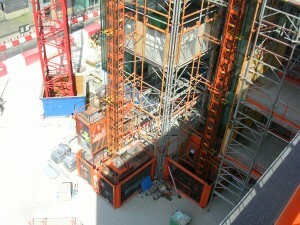 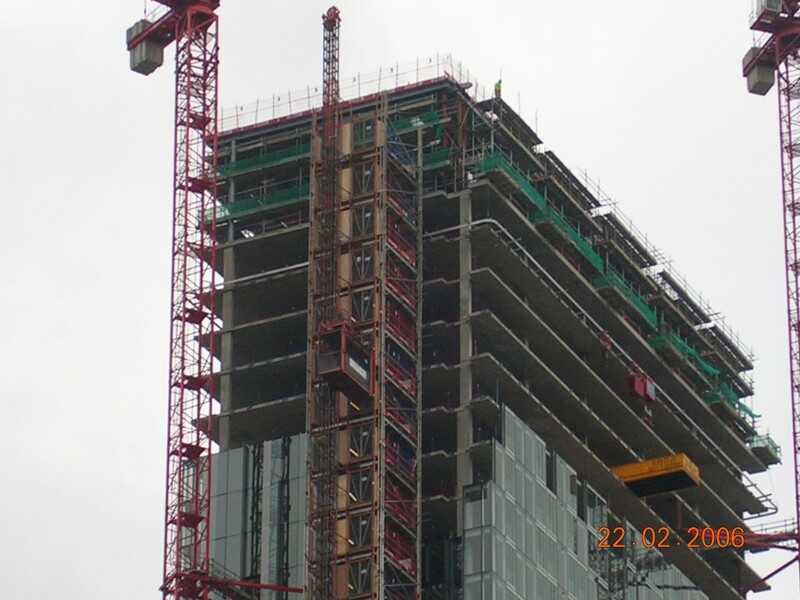 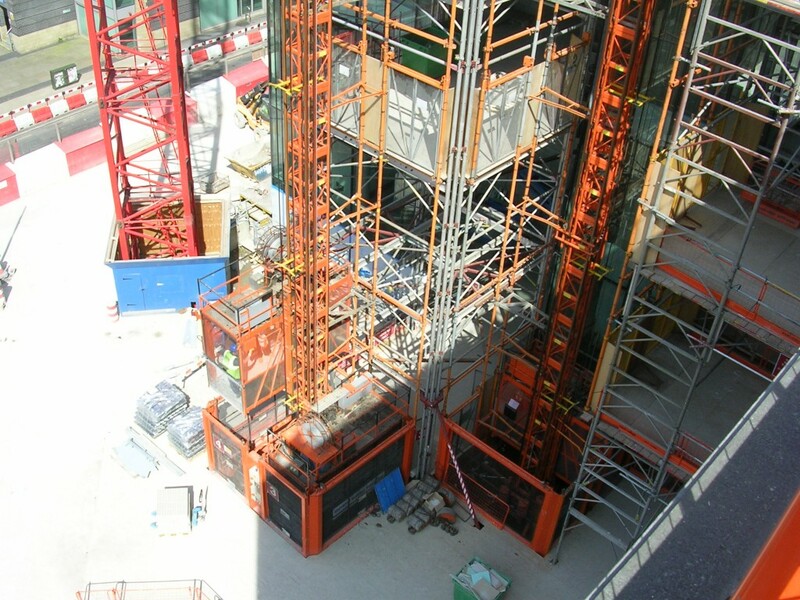 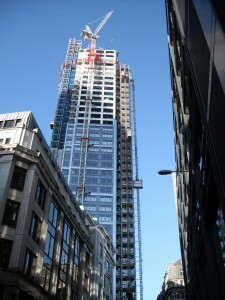 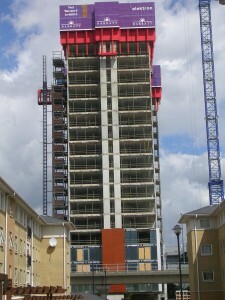 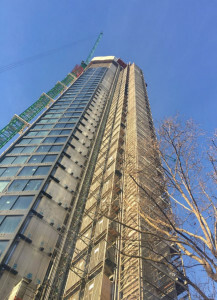 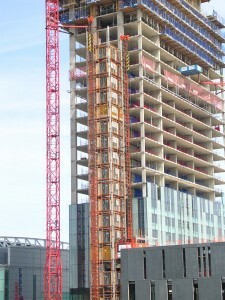 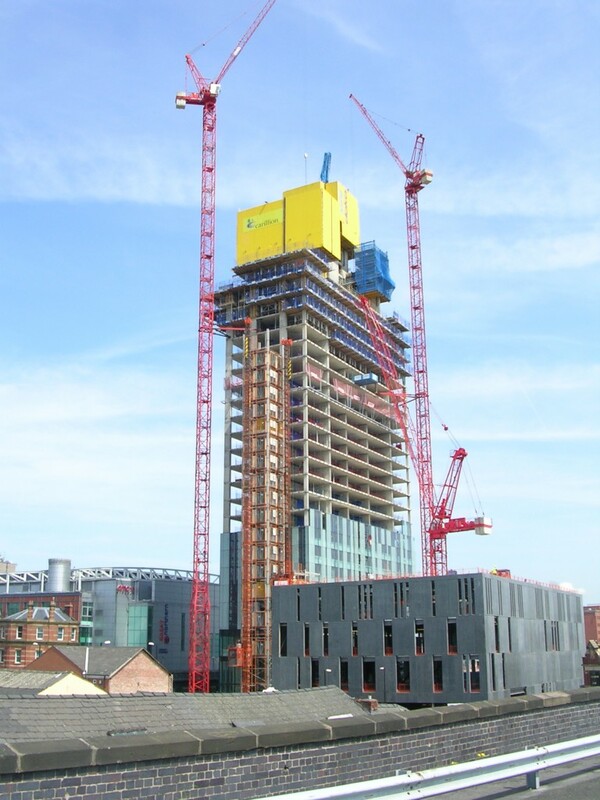 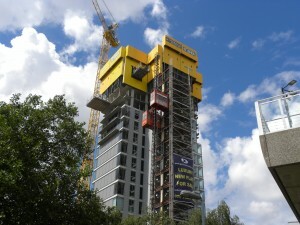 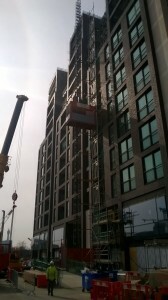 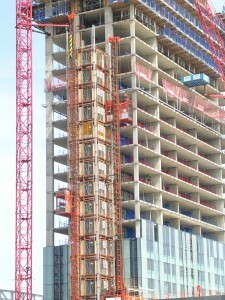 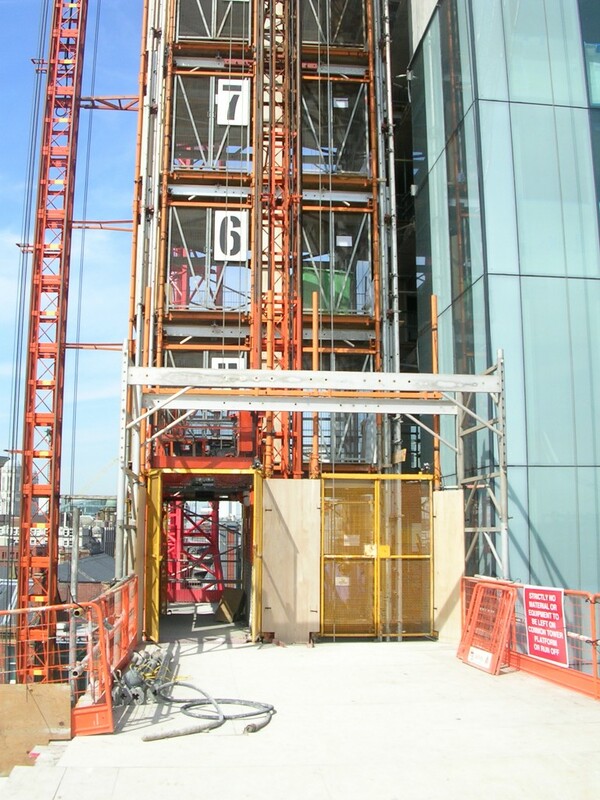 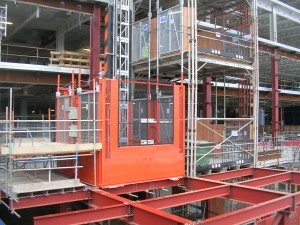 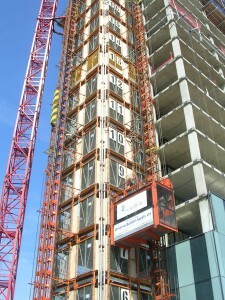 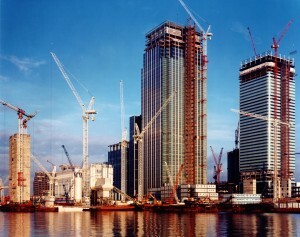 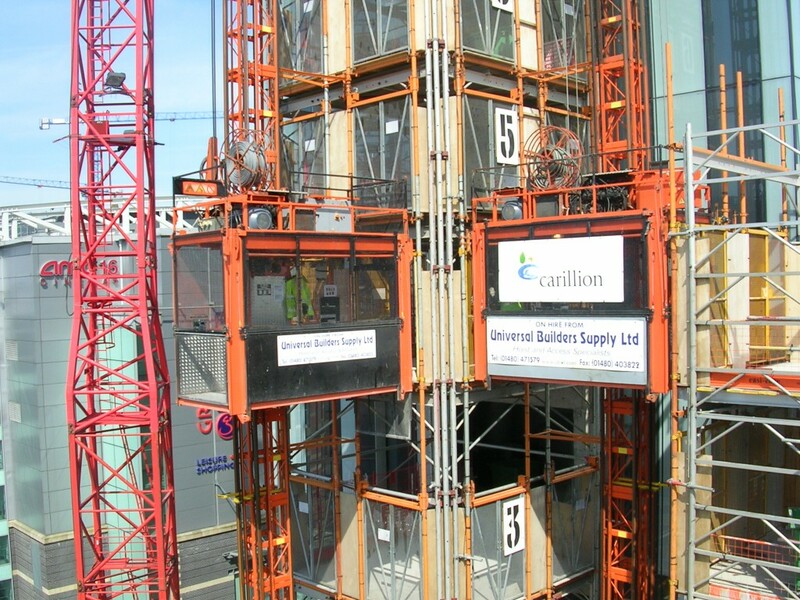 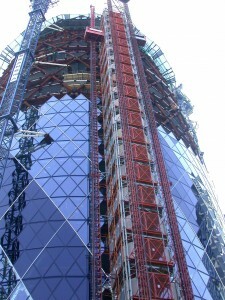 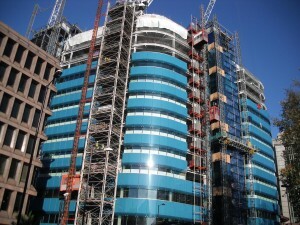 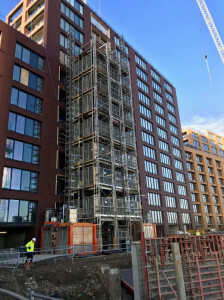 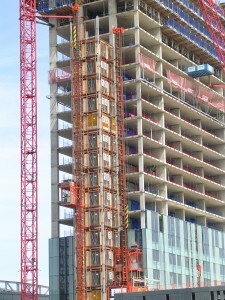 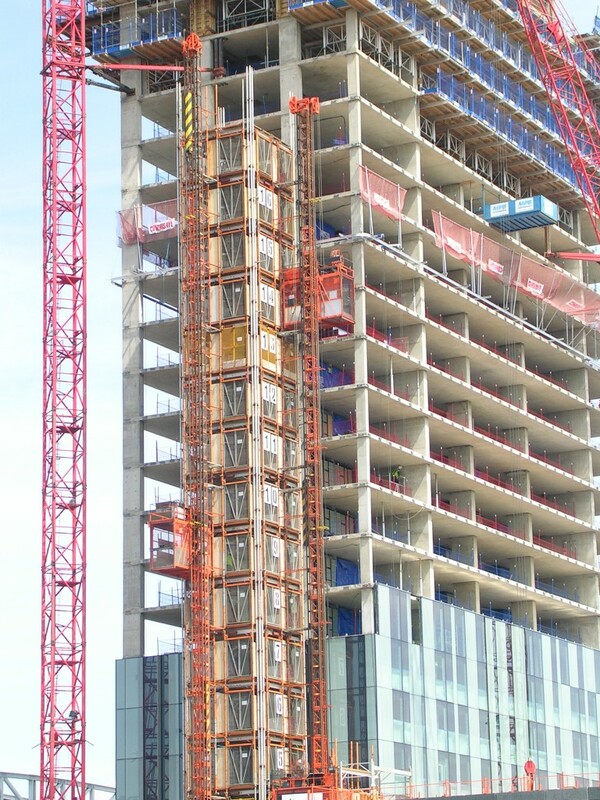 The low profile, high speed hoist system commissioned for the construction of Manchester’s 171 metre 47 storey Beetham Tower enabled contractors Carillion to dramatically improve efficiency and speed of elevating materials and personnel to a height with the minimum of disruption to the construction programme. 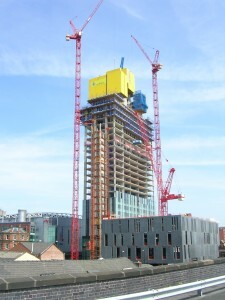 Beetham tower UBS common tower and construction hoists close up view. Beetham tower UBS common tower and construction hoists base area. 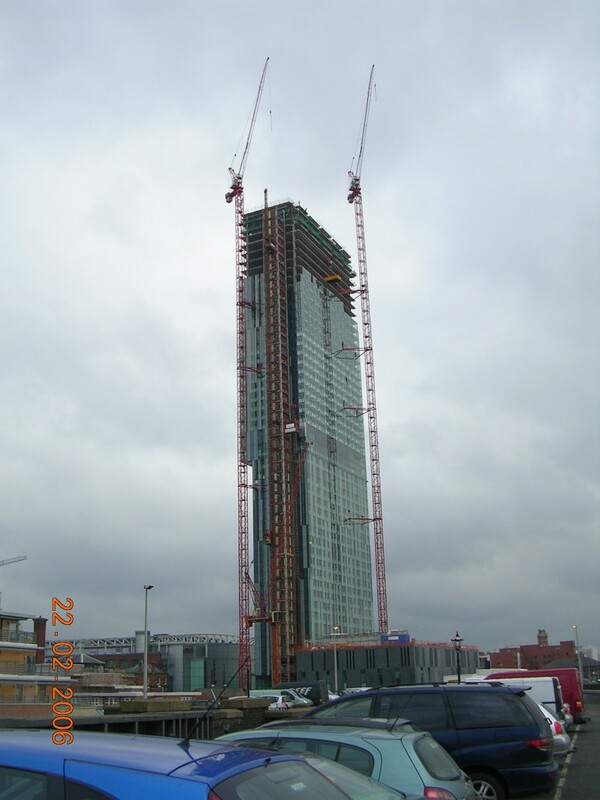 Beetham tower UBS common tower and 2 high speed construction hoists. Beetham tower UBS common tower and high speed construction hoists. 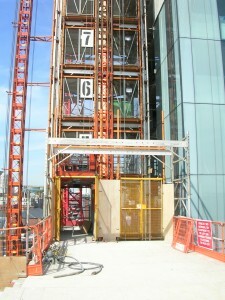 Beetham tower UBS common tower and high speed costruction hoists.